Little Tikes Trampoline Just $39.99! Down From $80! PLUS FREE Shipping! 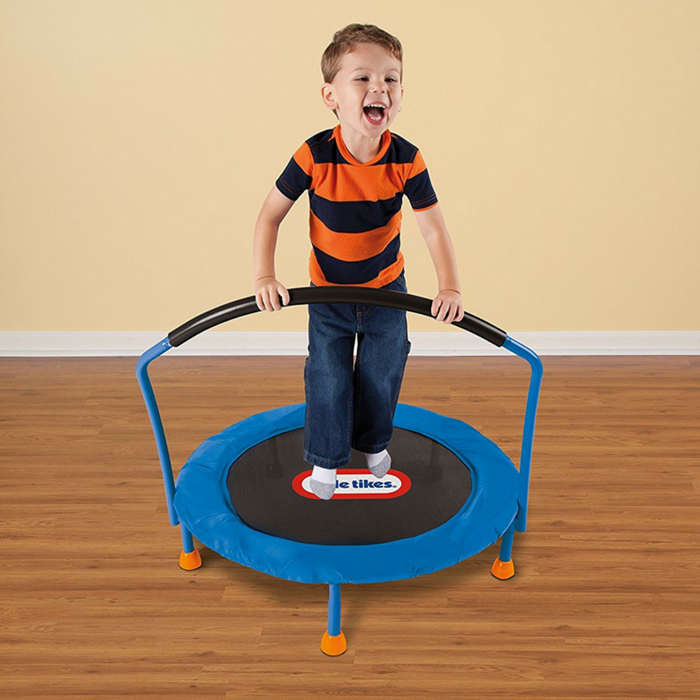 You are here: Home / Great Deals / Amazon Deals / Little Tikes Trampoline Just $39.99! Down From $80! PLUS FREE Shipping! Little Tikes Trampoline is now offered at Amazon for only $39.99 down from $79.99 PLUS FREE shipping! Kids have energy to burn, and if they don’t have some way of actually burning it, it’s harder for them to concentrate or to get the constructive rest that they also require. As they work out their whole body, kids will develop better fitness, balance, and coordination. This trampoline has a large jumping surface to help provide stability for young bouncers. The balance bar helps them stay upright and even pushes them to greater (but safer) heights. Your little ones would surely enjoy it!